The Czech National Bank, (Czech: Česká národní banka, ČNB) is the central bank and financial market supervisor in the Czech Republic with its headquarters in Prague and a member of the European System of Central Banks. The Bank's governor is Jiří Rusnok. In accordance with its primary objective, the CNB sets monetary policy, issues banknotes and coins and manages the circulation of currency, the payment system and settlement between banks. It also performs supervision of the banking sector, the capital market, the insurance industry, pension funds, credit unions and electronic money institutions, as well as foreign exchange supervision. The first independent banking system, in what is now the Czech Republic, was The Banking Office of the Ministry of Finance. The bank was established in 1919, due to the development of a new state. When the kingdom of Bohemia ceased to exist in 1918, the creation of Czechoslovakia called for a new central bank and currency. Czechoslovakia, which was the only democratic government in central and Eastern Europe before World-War II, located the main headquarters of the bank in Prague. Established as the central bank of Issue, the Banking office of the ministry of Finance held the authority of the Minister of Finance. Like most central banks, the Ministry of Finance controlled the circulation of money, government debt and the issuance of money. The organizational structure of the Ministry of Finance consisted of 10 members called the “Banking Committee”. Each member was appointed by the Minister of Finance. The Czechoslovakia economy suffered a major economic downturn between 1921 and 1923. In response to the economic decline, the Finance Minister at the time, Alois Rašín, implemented strong deflationary policies in an attempt to prevent further hyperinflation. Economists cannot be certain as to the extent of the benefits of the deflationary polices. But despite the policies of Rašín most likely lessening the effects of the hyperinflation in Germany and Austria, public opinion was against the Minister of Finance. Seen as a partial cause for the economic crisis, Rašín was assassinated on January 5, 1923 by a disturbed youth. 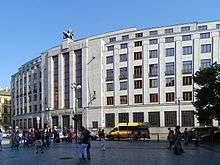 The Banking Office of the Ministry of Finance continued to exist until the creation of The National Bank of Czechoslovakia in 1926. In 1926 The National Bank of Czechoslovakia was established. During the first couple years of the new national bank, the Czech lands experienced a period of economic prosperity. Manufacturing in Czechoslovakia was experiencing tremendous success, Gross national product was reaching an all-time high and the currency exchange was strong. Banking throughout Czechoslovakia grew to over 100 banks and more than 200 credit unions. After the stock market crash in the United States in 1929, the Czechoslovakian economy followed suit and entered a depression. The Central Bank originally followed a deflationary monetary policy, which exacerbated the problems. Furthermore, the Central bank created a currency crisis by eliminating the ability to convert currency into gold and competitive devaluation. The perceived harm that The National Bank of Czechoslovakia was causing created social discontent. The Minister of Finance, Karel Engliš, attempted to end the deflationary policy by devaluating the Koruna, while maintaining the gold standard. Karel Engliš In opposition to Engliš, the Social Democrats proposed to leave the gold standard. Many political parties throughout the Czech lands proposed different solutions for recovery, which caused political imbalance and hindered the ability of the economy to recover. Ultimately, the gold standard was abolished and the Ministry of Finance was deemed incapable of solving the economic problems at that time. In response to the public discontent, Karel Engliš resigned on April 16, 1931. Despite political turmoil and difficulties with the central bank, Czechoslovakia began a slow rebound in 1934. One of the important outcomes of the Great Depression, regarding the National Bank, was the increase in support for government intervention in the economy. Price support systems increased in popularity, which instituted moderating prices, wages and currency. The government, now with more control over the central bank, lowered interest rates and devalued the currency, the Koruna. The changes seen in the national bank through the years after the depression reflect the growing support for Communism among the general public. During World War II, Czechoslovakia was annexed by Germany. Hitler claimed Czechoslovakia as the Protectorate of Bohemia and Moravia. As part of Nazi Germany, the National Bank became the National Bank for Bohemia and Moravia between 1939 and 1945. Josef Kalfus acted as the Minister of Finance during Nazi occupation. After the end of the war, the central bank returned to their former name, The National Bank of Czechoslovakia. Between 1945 and 1948, the banking system underwent a transformation towards nationalization. This was caused by soviet influences and the growth of the communist party. By 1950, the Central bank was fully nationalized and became The State Bank of Czechoslovakia. Formed on July 1, 1950 under the new communist regime, the State Bank of Czechoslovakia nationalized the banking system in the Czech lands. Under communism, the role of the State Bank expanded to that of a commercial bank, central bank, and investment bank. The new Central Bank was a supervisory agent of the government and was in charge of planning for the economic needs of the country. The State Bank issued credit to the individuals that needed capital to meet their business’s economic expectations. As the over watch for the other state owned banks, the Central bank presided over two savings bank, another state bank and the Commercial Bank of Czechoslovakia, which was in charge of foreign currency exchange. Centralization of the State Bank reached its pinnacle strength in 1958 when it took control over all capital construction. Later, in 1970, the bank also took control of foreign policy. After the split of the Czech and Slovak Republic the State Bank of Czechoslovakia was split into the Czech National Bank and National Bank of Slovakia by the respective laws of the new states on January 1, 1993. The primary objective of CNB as stated in the Act on the Czech National Bank and the Constitution of the Czech Republic is price stability. The secondary objective is to support sustainable economic growth. It currently employs inflation targeting monetary transmission mechanism. The goal is to stabilize inflation around 2.0% per annum. The Czech National Bank, located in Prague at 28 Na Příkopě, has remained in the same building through multiple government transitions. The leaders of the Czech National Bank are on the “Bank Board”. The Bank Board is responsible for setting and implementing monetary policy. The Bank Board consists of seven members: The Governor of the Czech National Bank, two Vice-Governors and four other members of the Bank Board. The Governor and Vice-Governors are appointed and relieved by the President of the Republic. No person is able to hold a position on the Bank Board for more than two terms. Each term lasts for six years and acts independent of other Governing bodies. The CNB maintains exclusive rites to issue and regulate banknotes and coins. The Bank oversees the legal and technical protection of the currency, the Koruna (also called the Crown). The Czech Republic was scheduled to adopt the Euro in 2010, but due to popular opinion, the Czech government opted to stay with the Crown. Consequently, the implementation of the Euro was suspended indefinitely. The Czech National Bank issues 1Kč, 2 Kč, 5 Kč, 10 Kč, 20 Kč and 50 Kč coins. The note denominations consist of 100 Kč, 200 Kč, 500 Kč, 1,000 Kč, 2,000 Kč and 5,000 Kč. 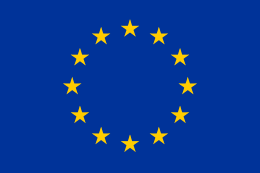 The Czech Republic officially joined the European Union on May 1, 2004. The original intention of the Czech National Bank was to adopt the Euro, but after relatively strong economic progress within the Czech Republic and a favorable national attitude for the Czech Koruna there are no current plans to change the currency. With no political or public urgency, the Czech Republic will most likely not join the Euro Area and adopt the Exchange Rate Mechanism in the coming years. As the supervisor of the financial markets in the Czech Republic, the CNB maintains authority over, the banking sector, capital markets, the insurance industry, pension funds, credit unions, and payment system institutions. (CNB Website) The CNB sets the rules and regulations for the industries that they preside over and systematically check in on the many financial institutions. Any institution that does not conform to the regulations outlined by the CNB is subject to penalties and restrictions. The CNB states that their primary objective is to maintain price stability. In order to keep prices stable, the Central bank implements tools, such as setting interest rates. Upon entry into the European Union the CNB will yield policy and control over to the European Central Bank. The favored pursuit of the CNB in order to control monetary policy is inflation targeting. By using inflation forecasts and macroeconomic predictions the CNB attempts to achieve an optimal inflation rate of between 1-3%. By forecasting the various factors and inputs of inflation and adjusting interest rates accordingly, the CNB has been able to control their inflation. Banks can deposit excess liquidity overnight with the CNB at the discount rate and can borrow overnight funds at the lombard rate. Thus these two rates create a corridor for the short-term money market rates. Moreover, the CNB conducts open market operations in the form of repurchase agreements (REPOs). The basic duration is 2 weeks. Currently the CNB is absorbing excess liquidity. The aim of these operations is to influence short-term rates which subsequently affect economic activity, the flow of capital, and inflation. Open Market Operations: Open market operations are used to steer interest rates. Most of the Open Market Operations are completed through Repo operations. Repo operations are repurchase agreements, where the government sells securities to traders, usually on a short-term agreement. Automatic Facilities: Automatic facilities create liquidity for the Czech National Bank through independent banks depositing money overnight or other banks that have a Repo agreement with the central bank may take out a loan. Extraordinary Facilities: In order to support the government bond market, the Central Bank introduced Extraordinary Facilities in 2008. This Extraordinary liquidity provided Repo operations on a longer-term basis of two weeks to three months. Minimum Reserves: As one of the main monetary instruments in order to control the amount of liquidity on the market, the Central Bank establishes a reserve requirement. By controlling the Minimum Reserves, the Central bank helps the interbank system run smoothly. FX interventions: By purchasing foreign currencies against the Czech Crown, the Central Bank limits risk in the market. FX interventions decrease volatility and help to ease or tighten monetary policy when necessary. The Czech National bank determines the value of the Czech currency against foreign currencies. Under the regulation of the Ministry of Finance, the central bank continually adjusts and fixes the exchange rate. Further involvement of the Czech National Bank in Financial markets is the analysis of inflation expectations. The National Bank analyzes the factors, such as interest rate and exchange rate, that determine the inflation rate and make predictions on expected fluctuations. The prediction of the changes in inflation rate is key to the monetary policy of the central bank. Because of the central banks immediate response to new reports regarding exogenous shocks, policy changes and other market conditions, changes in interest rates and exchange rates prove to be good signals for the central banks market expectations. ↑ Kunert, Jakub; Novotny, Jiri. Central Banking in the Czech Lands (PDF). Czech National Bank. Retrieved 12 April 2015. 1 2 3 4 Holec, Roman. "The Great Depression of 1929 – 1933 from the point of view of Czechoslovak financial experts and economists" (PDF). Retrieved 12 April 2015. ↑ Mahoney, William (2011). The History of the Czech Republic and Slovakia. Santa Barbara: ABC-CLIO. Retrieved 12 April 2015. ↑ Arikan, Deniz. "The Banking System in Czechoslovakia Under Command Economy". Ok Economics. Retrieved 12 April 2015. 1 2 3 4 5 6 7 8 9 10 11 12 13 "About the CNB". Czech National Bank. Czech National Bank. Retrieved 12 April 2015. Wikimedia Commons has media related to Česká národní banka.